This past week my work allowed us to take a 1/2 day for team building exercises. 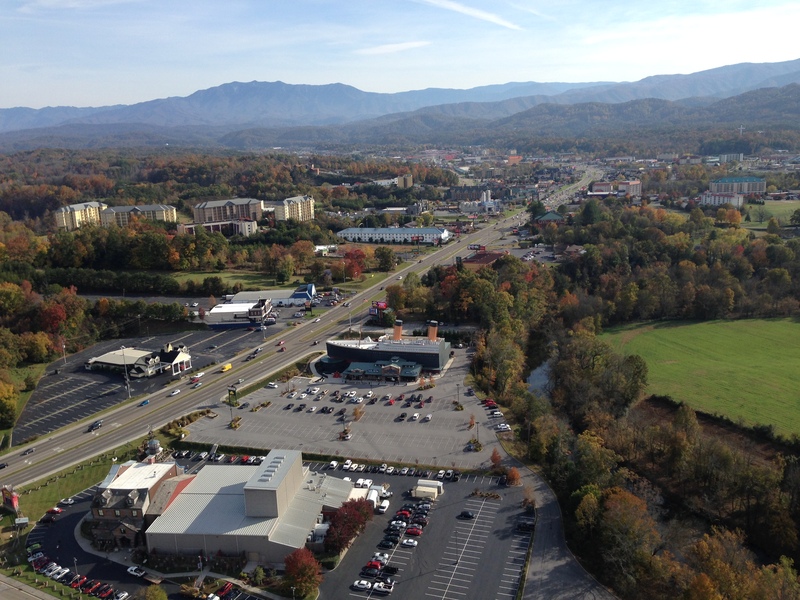 So, we spent the afternoon in Pigeon Forge, TN! I am thankful to have been able to experience a few new adventures. Below is a snapshot of our day. 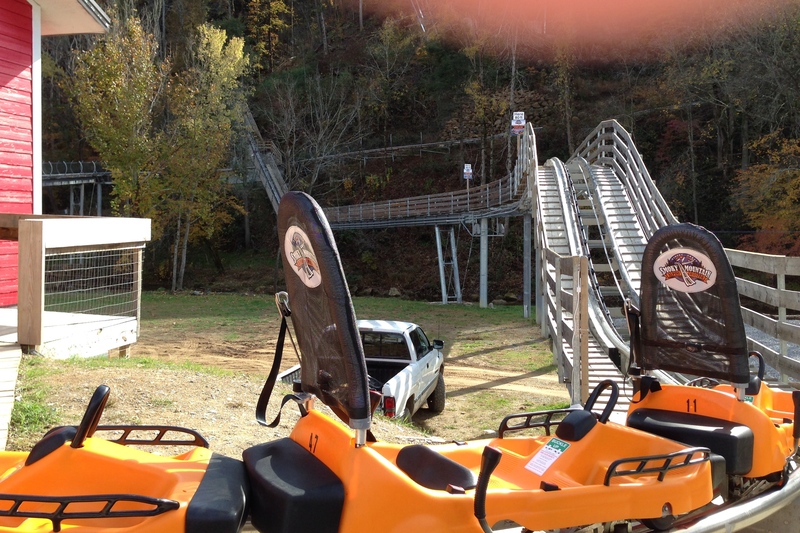 Our first stop was the Smoky Mountain Alpine Coaster on the way to Wears Valley. I had heard of these kinds of coasters before, but never had an opportunity to ride one. This was like a personal roller coaster – with brakes! 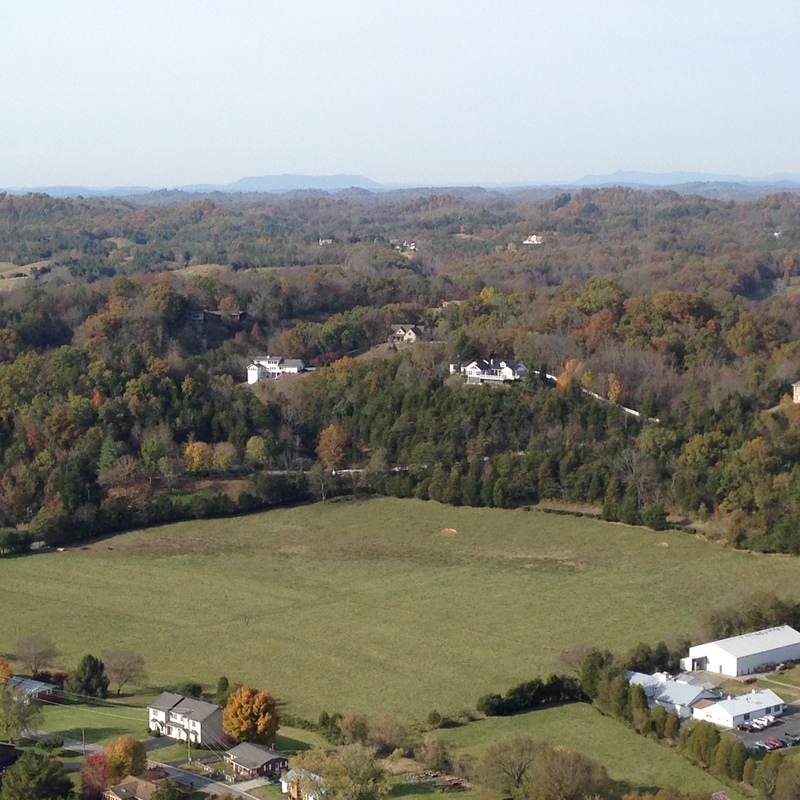 It wound up and through a mountain side. The only picture I took was really not what I wanted to show the coasters, but it gives you an idea of what they look like. The next destination was one that I have been wanting to do since I first saw it! 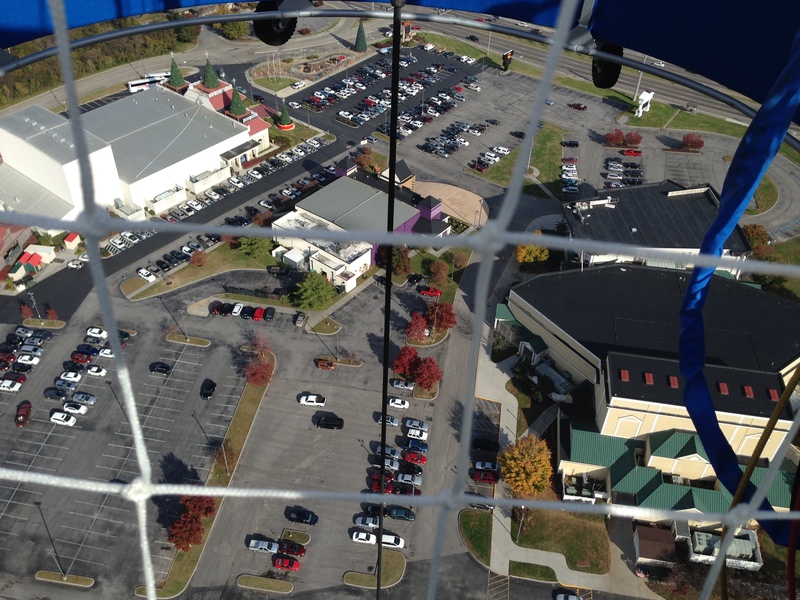 The Wonders of Flight is a hot air balloon lift that takes you up 400′ above Pigeon Forge! I had so wanted to ride this, but once I stepped onto the platform I quickly considered whether this was a good idea or not. My adrenaline kicked in so I decided to stay – plus the others were boarding so I couldn’t back out now!! 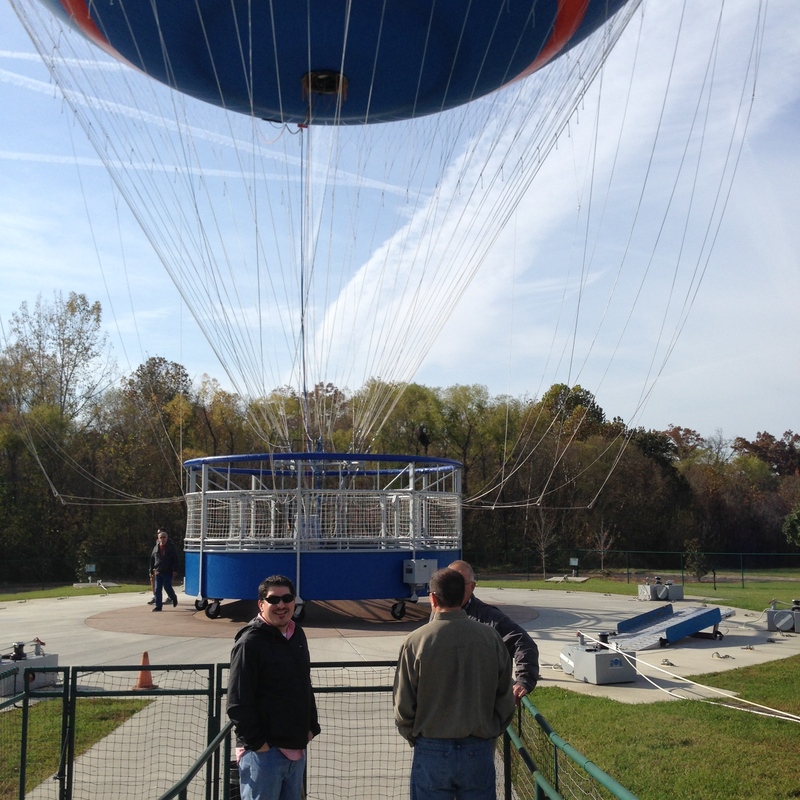 When the gate closed our “pilot” said we would be ascending to 400′ above the ground we just stepped off of. 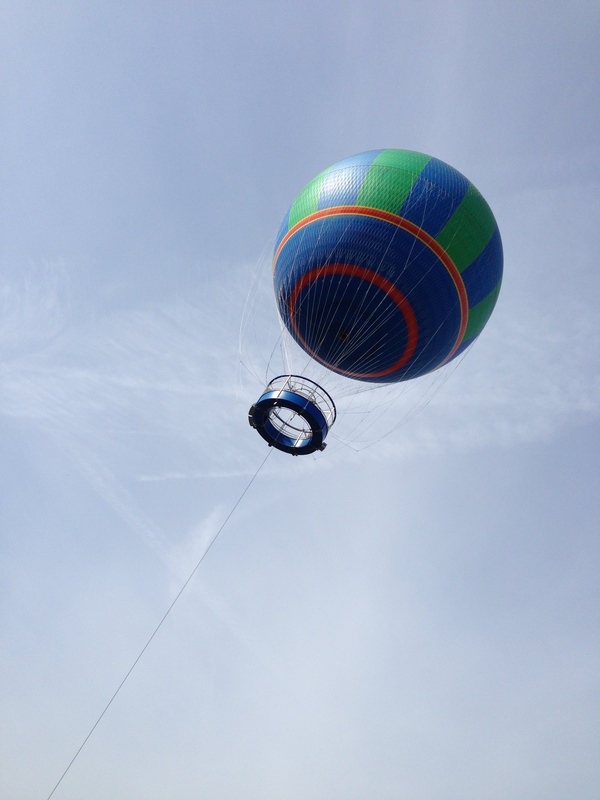 A single cable was what held the balloon to the ground, and slowly released as we smoothly ascended. From the top we had some awesome views! The air was cool and the sun was warm. 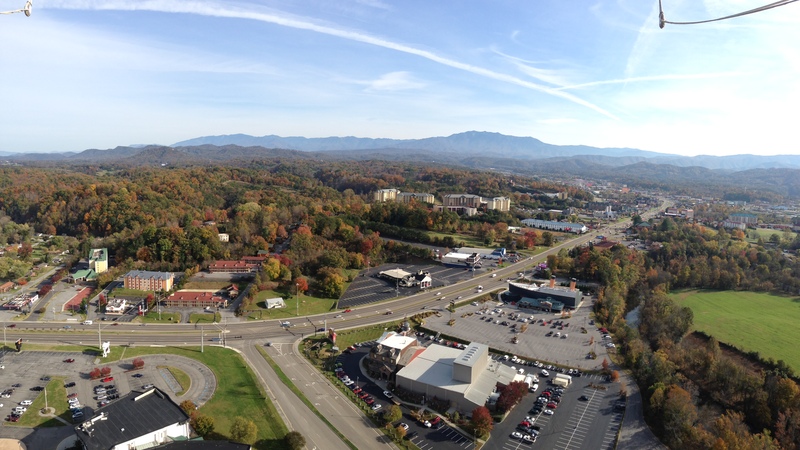 Just a great day to be enjoying these views of creation! Our last adventure was to ride go carts. Our team found this to be an opportunity for paybacks through bumping of carts! Of course we were warned not to bump, but that was merely a good suggestion! After all this adventure we settled in to eat at Jimmy Buffett’s Margaritaville. The food was tasty and the atmosphere was really fun!